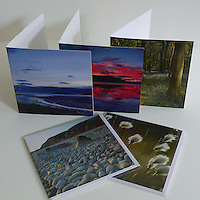 I have a small range of blank greetings cards, which can be bought individually, or in packs of 4 or 8. Please click on the images below for more information. Each card is 10cm x 10cm and comes with its own envelope. It also comes wrapped in its own clear, protective envelope.